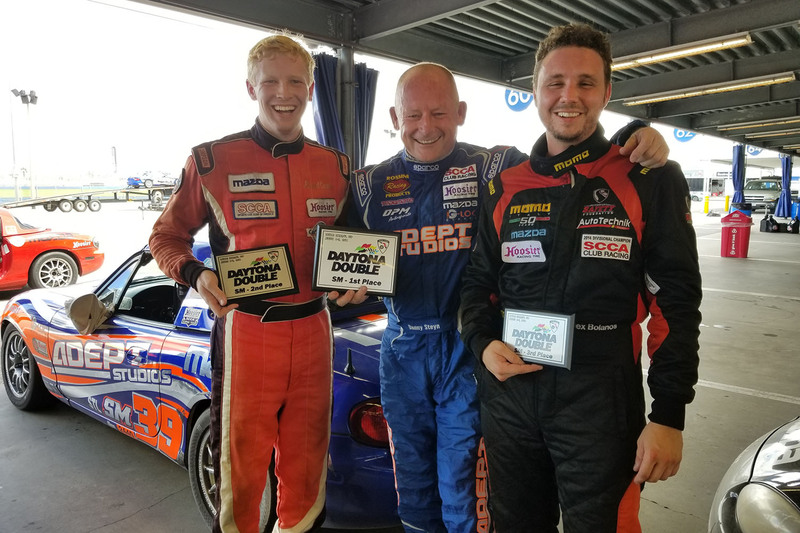 Home / Years / 2018 / Danny Steyn drives from 14th to 3rd on the podium at COTA, Jason Connole gets his 3rd top 10 Majors finish for 2018! 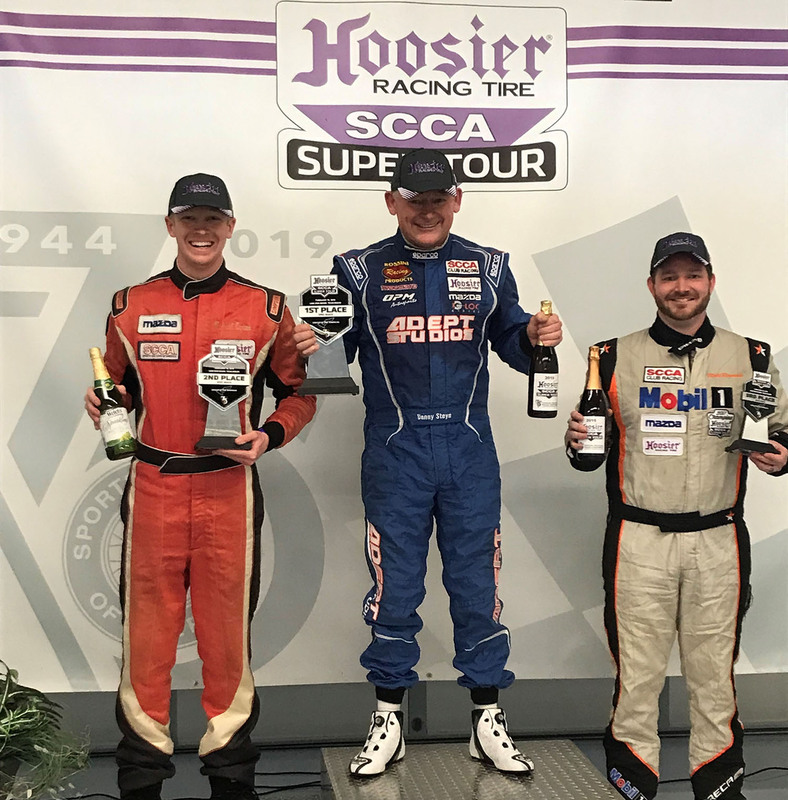 The SCCA Hooiser Super Tour made its way to the Circuit of the America’s this weekend, and Rossini Racing had two East Coast drivers representing our team, amongst 60 of the fastest Spec Miata drivers in the nation. Weather was mixed over the weekend with cool days, heavy mist, light rain and blazing sun for the final race. 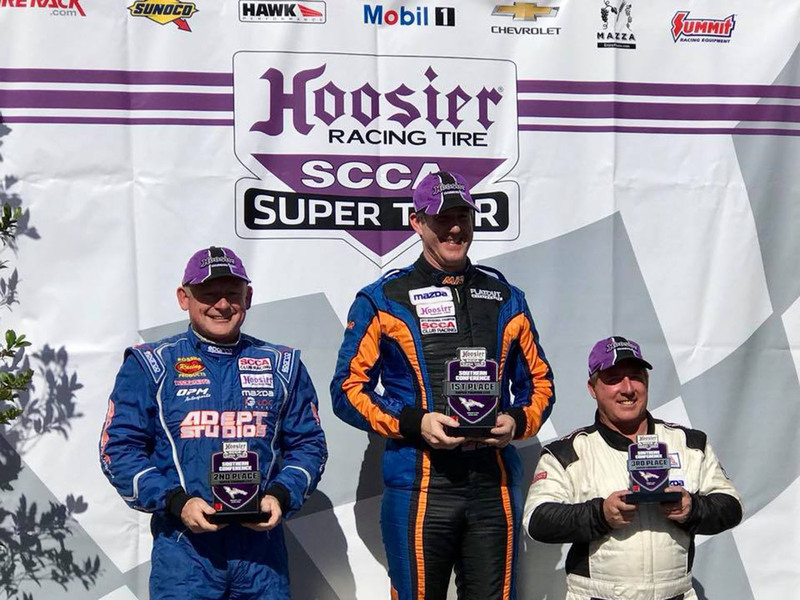 The Texas contingent lead by Chris Haldeman and Jeff Ross were blisteringly fast right out of the gate and placed their X-Factor cars on the front row of the grid, and all the Texans were fast on their home track. 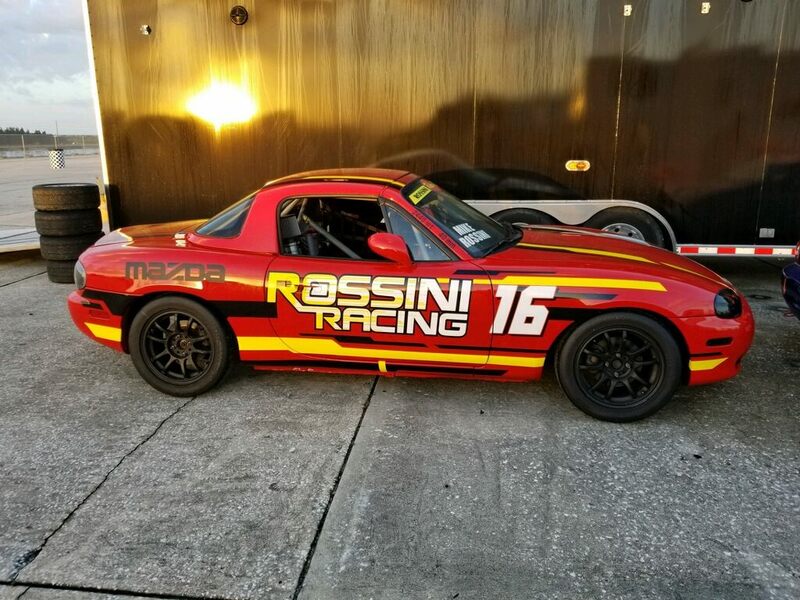 Jason Connole qualified his Rossini powered Spec Miata in 10th spot and Danny Steyn was back in 14th place. Race 1 was a bit of a mess. In the mixed conditions, the Spec Miata class only ran 3 full laps under green, the rest was under yellow and the race finished under yellow. 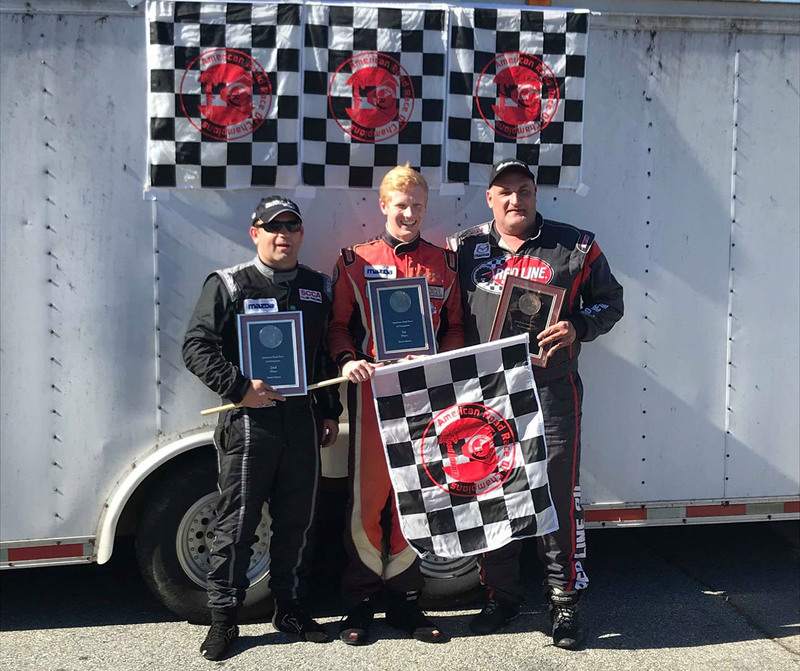 Chris Haldeman cleaned up out front, Nick Leverone drove the race of the weekend moving up from 11th to 2nd, and the California Kid Nick Sommers put his NA 1.6 on the podium. Danny Steyn drove from 14th to 8th and after a self inflicted spin, Jason Connole drove himself back up to 18th. Race 2 started later than scheduled to allow the early morning fog to burn off, but by the race start the blazing sun had added significant grip to the track. Up front Chris Haldeman put on a driving clinic, pulling away from the field while everyone else fought over the podium spots. Danny Steyn, starting from 14th, worked his way forward picking off driver after driver, eventually challenging Jim Drago for 2nd place. On the last lap, Steyn made two moves trying to make the 2nd step on the podium but in both cases, Drago was able to get off the corner and protect his 2nd place. Steyn finished 3rd. Jason Connole had a much better Race 2, hanging in with the fast guys, and nailing down his 3rd top 10 finish of the 2018 season. 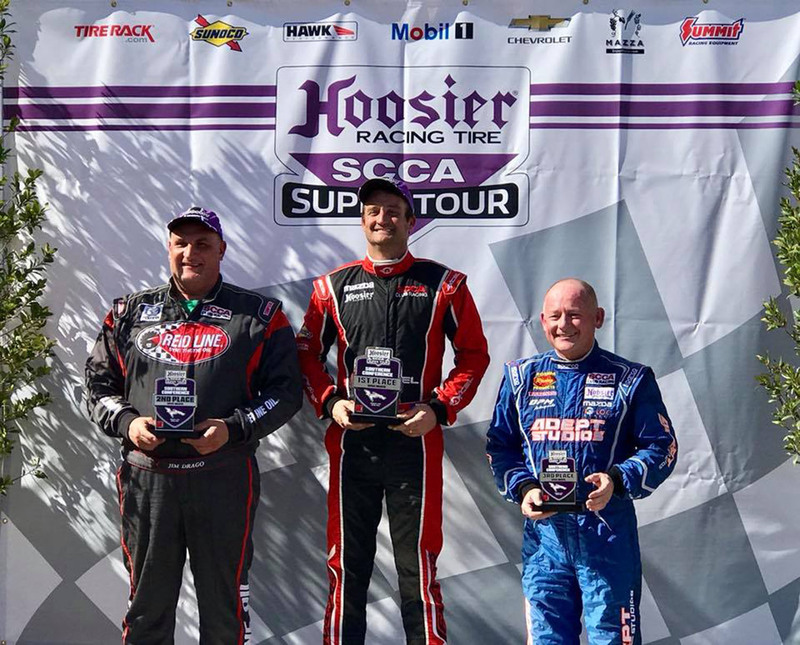 Steyn also drove his Rossini powered Spec Miata to podium finishes in STL with a 3rd place on Saturday and a 2nd place on Sunday ahead of some much higher horsepower built STL cars.